I friggin’ love those guys. But some clients I work with aren’t in visual fields, and/or their budget doesn’t allow for a Photographer. And you all know how I feel about photography on websites. It’s kiiiiiiind of a big deal. So, in those cases, sometimes we gotta go the stock photo route. Luckily, stock photos have come a LONG way. But don’t get me wrong, there’s still a lot of nonsense out there that involve massive clichés like women laughing, and eating salads alone. 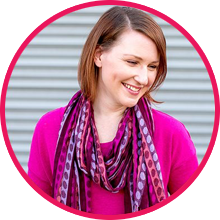 But frankly, if you have a Blog or any sort of social media presence, you’re probably always on the hunt for images to support your posts so that everything you put out into the interwebs is visually appealing enough to click on, amiright? 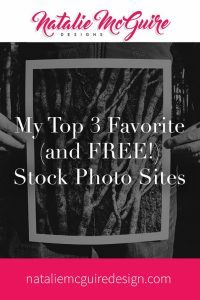 These are my FAVORITE places to find FREE stock photos. 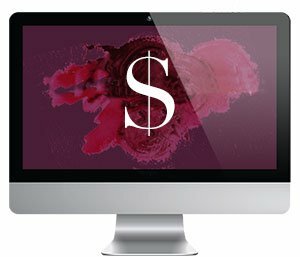 Upsplash: Some seriously beautiful, free, (do whatever you want with these) high-resolution stock photos. They mostly focus on stunning outdoor shots, but occasionally there’s a city, some food, and even a person or two thrown in to the mix. Free Images: This is a more traditional stock photo site with all the photos taken and submitted by amateurs. Luckily, there’s lots of different subject matters to choose from, and more images get added every day. You can use the images for almost anything, but of course, there are some no-no’s and restrictions. You have to stick to the rules in the Image license Agreement, and in some cases you may need to notify the artists about using the images and sometimes you need to give credit to them. Hey, it’s a small price to pay for a free photo. Flickr’s Creative Commons: If you’re looking for more of a photo-journalistic style, or a unique location or subject matter that wouldn’t be available on a traditional stock photo site, you’ll definitely wanna check out what Flickr’s Creative Commons has to offer. Be sure to read up on the rules of the Creative Commons first, but this site is invaluable for getting hard-to-find photos and I’m always blown away by the creativity.